Hallelujah Freedom has been a Phoenix track on Capitol.fm for some time now. The uplifting and inspiring single was recorded in 1972 at by Junior Campbell at Decca Record Studio 2 in London. The tracks was assisted by a talented group of musicians from Ray Duffy who played the drums to Graham Knight on bass. Graham was a former member of The Marmalade. 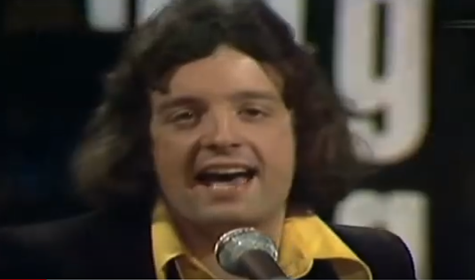 Junior Campbell performs his UK hit singe Hallelujah Freedom which was a UK hit in 1972 and reached across to audiences in the Netherlands, France and Germany. The song had a contemporary sound that still sounds fresh today. Still a powerplay on Capitol.fm and a Phoenix hit, the song has missed out on radio airplay but in recent years is emerging as a favourite as radio stations like Capitol.fm ask listeners what it takes to Always play a Better song. The song recalls a time in the UK and the US of massive hit TV shows and movies. A happier time that many are nostalgic for today. The Marmalade was a band form 1961 formed in the eastern part of Glasgow, Originally known as the The Gaylords they change their name in 1966 to The Marmalade. The band is actually still in existence although without its original lineup. It was a UK hit at a time of enormous change for the UK prior to its entry into the then EEC. It is a rime that many UK people now look back nostalgically to. A time when the trade unions were all powerful and when a there was more perceive equality between the Britain’s; working class and its ruling elite. It was a year when Antony and Cleopatra was the big movie hit from Hollywood together with Franco Zeffirelli’s Brother Sun, Sister Moon. Donald Pleasence starred in Keith Michell’s The Six Wives of Henry VIII. It was a golden age for TV in the UK with the launch of the provocative comedy Are You Being Served featuring a camp, gay shop assistant. In the United States the original Hawaii Five 0 was at its zenith together with the Mary Tyler Moore Show. On the 14th October 1972 Hallelujah Freedom entered the UK Tp 40 and reached the No 10 position. The single also was a hit in the Netherlands, France and Germany This might explain why it has been so popular with Capitol.fm listeners with many many of or listener tuning in by satellite in the UK and Europe particularly Germany. The song is a favourite with many people still in those countries and along with Campbell’s other hit song Sweet Illusion. The sound is very contemporary and still sounds fresh today. The band would often be heard in small smoked filled lounges in London during this era with disco lighting and raucous crowd. The song is inspired and although absent for radio playlist for a long time is beginning to crop as we listen to our listeners. This is an all time favorite.